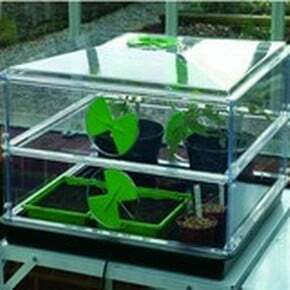 Here at Harrod Horticultural we have a top range of Greenhouses & Sowing equipment. All of our Harrod Superior Greenhouses are made in the UK. 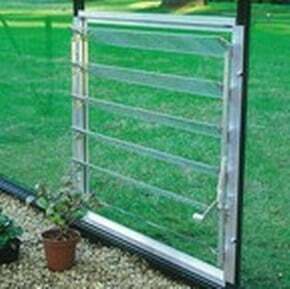 They are packed full with features; such as 4mm toughened glass; and a 25 year framework guarantee. We can supply everything you need for your greenhouse; such as high quality staging and shelving; propagators; heaters; vents; and shading. We also supply other related tools. Having a greenhouse in your garden opens up a range of growing options. You will be able to create a safe and frost free haven for your tender all year round plants. Seed sowing can begin months before the soil is ready; and you will find your germination rates go through the roof. Depending on your interests, your budget and your space; you can fill this sheltered growing area with a range of staging. The range includes heaters; propagators; thermostats; and enough sowing and potting tools to run a nursery! Our range of items to help you sow and grow include high quality organic seeds and fruit trees. They are all supplied by growers who have over 50 years’ experience. Not all of us have got the time, the tools, or the space to raise our vegetables and herbs from seed, though (as much we would like to). So,with a little help from our organic contacts we can supply an instant vegetable and herb garden in spring time. These growing ranges will suit both kitchen gardens, pots on a patio or roof terrace gardens.